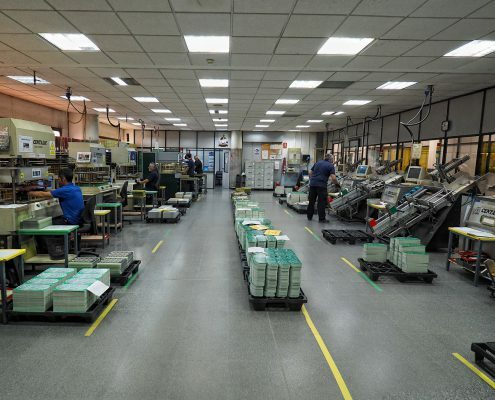 Eurocir’s advanced technology and automated lines result in a high production capacity. Clean room: With constant humidity and temperature control, the clean room at Eurocir allows us to achieve the quality standards the market and our customers demand. 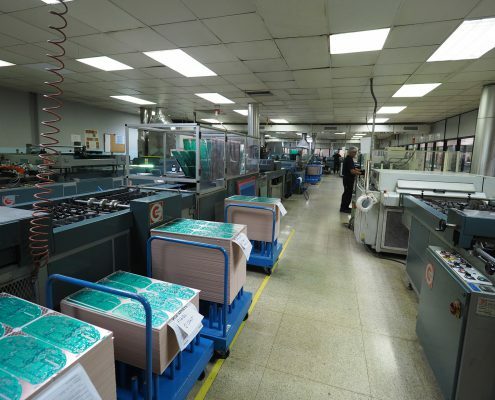 AOI: We have exclusive machines to assure product quality. Eurocir as a leader in the manufacture of all kinds of technologies, has created specific departments to respond to the growing technical demands where precision is fundamental. 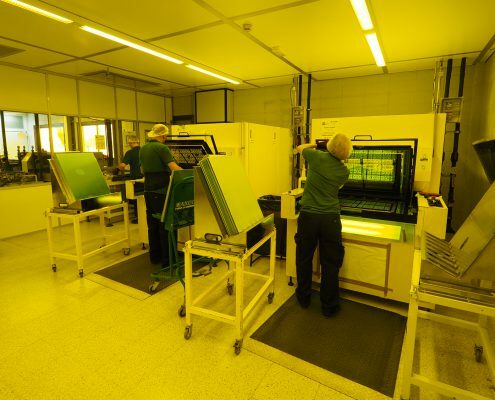 Clean room: We have clean rooms for the photoimage process. The temperature, pressure and humidity are controlled to guarantee the optimal quality of the product. Temperature, pressure and humidity are controlled to ensure optimum product quality. In our Technical Department we have U-Cam and photoplotters so we can produce our own photoliths films on demand. Eurocir has state-of-the-art technology, resulting in high production capacity and offering our customers top-quality precision. Routing: with cutting-edge cooling and lubricating technology specifically developed for IMS material (aluminium). 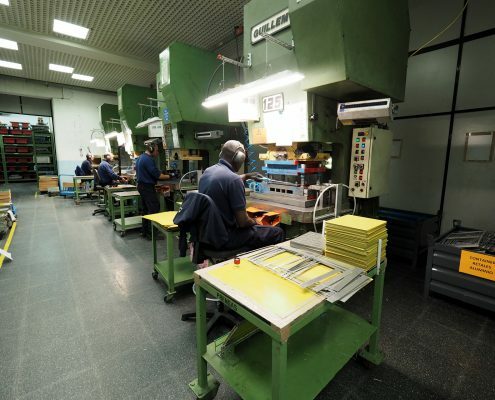 Investments in machinery have resulted in high production capacity. Optical Inspection: Machinery specially designed to guarantee unobstructed holes or the actual absence. An essential control to meet the quality standards. Eurocir has a wide range of processes to fulfill our customers’ designs. Through our on-site die casting workshop where we repair and refurbish the dies, we can offer our customers the agility and flexibility they require. Also, we have a fixtures workshop where we manufacture our quality control fixtures, being a reference in this respect. 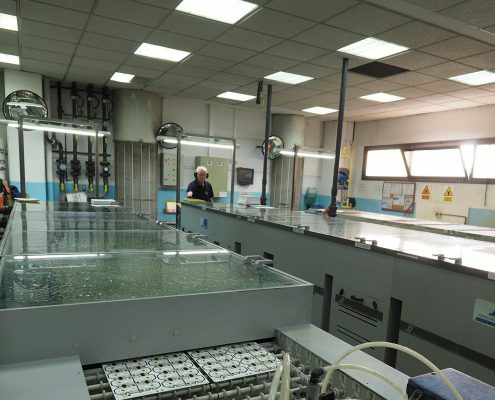 High pressure and ultrasonic cleaning: to unclogg the holes and clean the circuit boards. Optical inspection: we guarantee unclogged holes and control that none are missing. Automatic and manual Hole unclogging: it uncloggs holes and guarantees that none are missing. 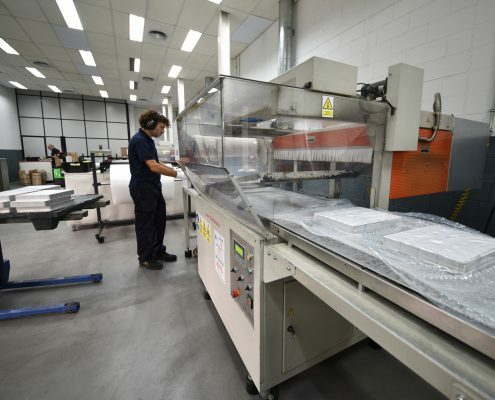 Through this process Eurocir guarantees the product’s functionality. A number of lines dedicated to meet our customers specifications for conductivity, voltage and insulation. In our fixtures workshop, we manufacture and service the fixtures needed to perform electrical testing. The responsiveness granted by our workshop is, without a doubt, one of the Eurocir’s competitive advatages. Our testing parameters are highly stringent, thus limiting the possibility of delivering products that do not comply with our customer’s specifications. 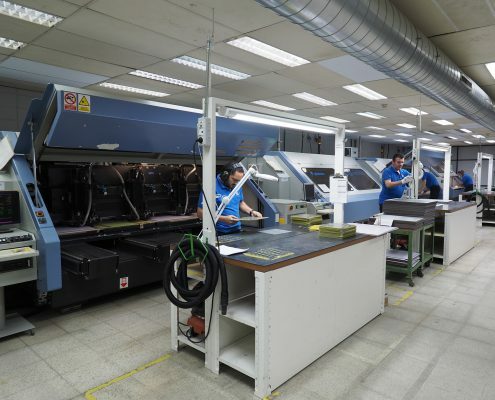 Eurocir has a logistics center with a highly qualified team for the final inspection of the manufactured printed circuit boards. In addition, Eurocir has invested in a variety of technologies in order to offer a wide range of packagings which guarantee the quality and conservation of our boards.